If you grew up in the Los Angeles area in the 1960s you remember the radio jingle with the garbled lyrics that no one could understand. You remember, "BOOM! BOOM!" 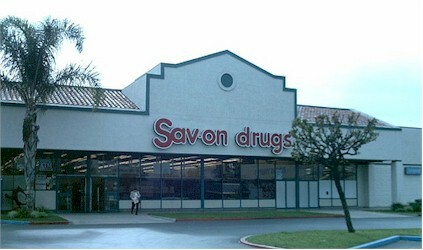 In 2006 Sav On became the drug department of Albertsons supermarkets in Southern California and Las Vegas. The standalone stores became CVS. So the real chain is gone. I remember going to Sav-on on Ventura Blvd, in Studio City, CA. with my grandmother. We always walked up there and I always got to have ice cream cone. They had the best coffee ice cream around, for its day.